Score BIG by Hosting the Best Super Bowl LIII Party! 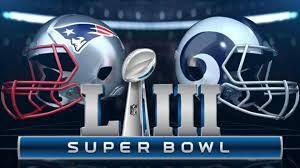 Home / News / Services / Home Theater / Home Theater Seating / Score BIG by Hosting the Best Super Bowl LIII Party! We are days away from Super Bowl LIII! In order to have a successful gathering, there are some essentials you want to make sure you have. Here’s a guide for throwing a great party that will rank better than the winning team and best commercial of the night. Team Gear – It goes without saying that you need to dress the part, and all of your guests should come sporting their team gear. If your team isn’t playing in the Super Bowl, you can opt to wear the colors of the team you are pulling for, or your favorite football team jersey. But this is all about football, so come dressed accordingly! Quality TV – This is where the action is! Everyone will be gathered around the television to view the action and to see which commercials are their favorite of the night. After many years, television has really changed how we watch football. However, nothing beats viewing the action on a clean, crisp screen of a SONY TV. Click here to see the current SONY TV specials we have available. SONY has some of the best televisions on the market today to experience the live action! Watching the Super Bowl is all about the visual and sound experience…which brings us to the next point. 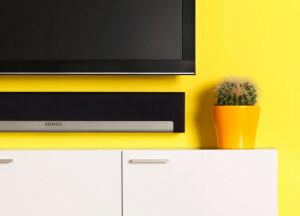 SONOS Playbar – A sound bar is a must! In recent years, televisions have advanced leaps and bounds visually, but the sound has not been as big of a priority. The speakers on most TV’s are not enough to boost out the sound needed to cover the viewing area. By adding a soundbar, you will be able to hear every hit and call made during the game. And let’s not forget watching for your favorite new commercial of the evening! Pre-Game Fun – As guests start arriving, it’s a good idea to have some type of entertainment available. You can have your Madden 19 set up and ready for players to compete. you can also have Super Bowl Squares for those people who are feeling lucky enough to participate in a Super Bowl Pool. People always tend to get more excited and into the game and scoreboard when they feel like they have something “invested” in it. After all, who doesn’t mind going home with a little extra cash? Food – This goes without saying that this is THE MOST IMPORTANT part of a Super Bowl Party! You can’t control the score and the outcome of the big game, but you can make sure everyone enjoys the food that is served. 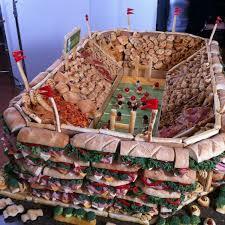 It’s time to bring out the sports-themed food and favorites among the fans! Finger foods are your best option to serve, and you can get creative with how you display it. Here’s a great site to view foods and get recipes. As the host, ask your guests to bring a side dish to share, this way you can make sure you will have enough food for the hungry crowd. During the Game Fun – Have your guests fill out this survey when they arrive and by the end of the game, the person with the most correct answers wins a prize! Lighting – As the night goes on, you will need to adjust your lighting for the viewing room, the kitchen and other rooms, as your guests move about and mingle during the evening. RadioRA2 allows for you to adjust lighting in each room controlled via an App so you don’t have to push past people to find the light switch. Amazon’s Alexa uses voice control to help you control your lighting as well. Seating – Once you have a head count, you can get your seating in order. Most of the time, chairs have to be brought in from other rooms. 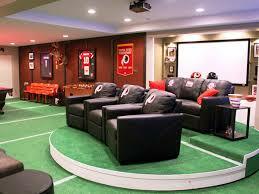 If you are fortunate enough to have a theater room, your seats will be more than comfortable enough for your guests. If you don’t have enough chairs, floor pillows are always a great option. Most of the time, some spectators are camped in front of the television, and others will be hanging out near the food. Whether your “goal” is to watch your team win on a new big screen, have your lights controlled via an App, or install theater seating, we can help! Contact us at (804)379-1348 or visit us online to schedule an appointment.